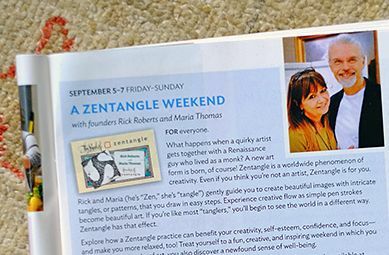 What better way to get back to our regular newsletter schedule than to introduce you to our new Certified Zentangle Teachers around this planet! 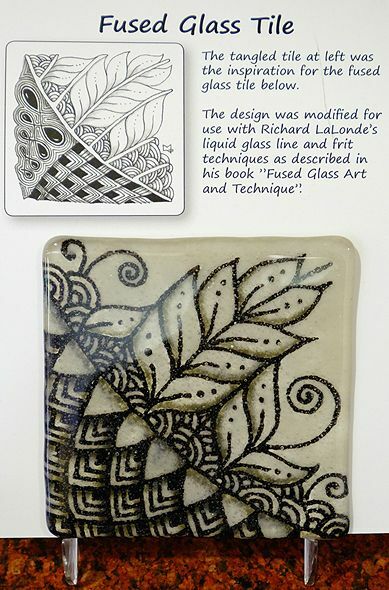 Lot's more tidbits and treats below, including Zentangle's 10th anniversary celebration (prizes included!). Welcome CZT Class XIV ! 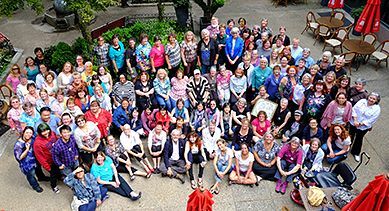 We are thrilled and honored that these talented and passionate people travelled from all over this world to Providence, RI, to learn, share and make new friends. With this seminar, there are now CZTs in three new countries: Singapore, Spain and Switzerland. 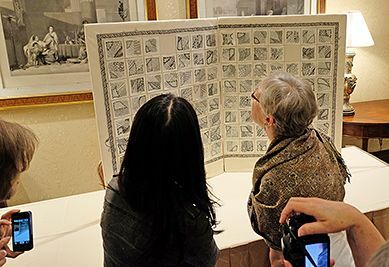 Creativity and excitement was abuzz as these Zentangle artists arrived at Hotel Providence. 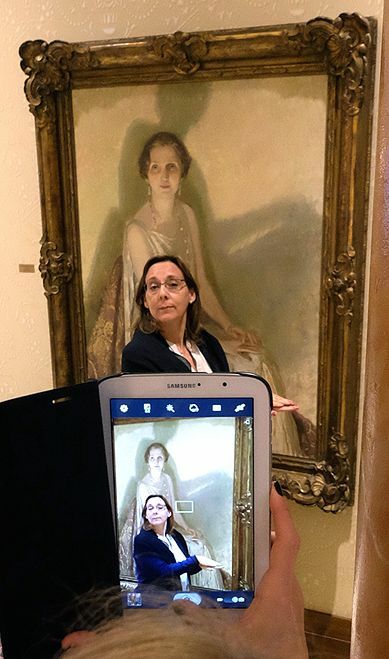 Posing with the lobby art and . . . 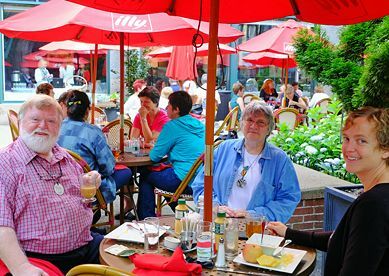 The weather was perfect and we could eat all our meals outside if we wanted. Many students brought their creations to share. There is more to share, but this will give a hint at how awesome this seminar was. Because these images are so small, we have created a companion blog post for this newsletter with larger images for you to enjoy. 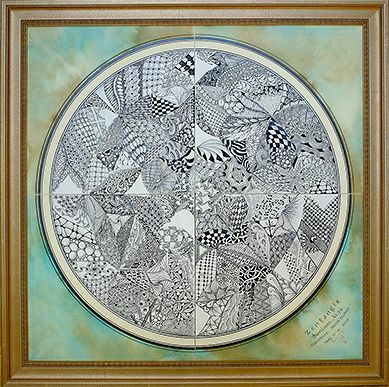 On July 17, 2004, we gave our first public Zentangle Class in Providence, RI. 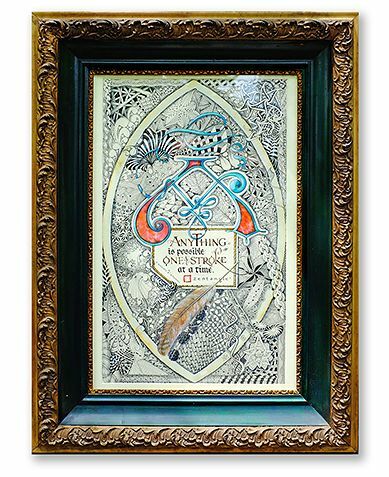 To celebrate this 10-year milestone, we are giving away 10 signed prints of our new tangled "Anything is possible, one stroke at a time"™ poster celebrating these ten years. They aren't available in our store (yet). Come on over to our 10th Anniversary Blog Post. Ten commenters will be randomly chosen to win a signed print. Thank you so much for this 10 years. I�m looking forward for next ten . . . I've drawn this heart to celebrate with you. Maria Perez-Tovar, CZT 14, Madrid. My mother is 92 years old, very mentally alert and interested in EVERYTHING. I was visiting her last year and had my Zentangle supplies with me. She was hooked almost immediately - I ordered a beginner set of pens and tiles and there has been no stopping her since. Due to her age and mobility, the winters keeps her pretty much house bound. I have attached a couple of pictures to show you how she spent last winter. Her eyesight is very poor, and it is a complete mystery to me how she does these intricate little pieces. I guess my main purpose here is to let you know what a blessing this has been in enhancing her twilight years. Coming for the CZT training was an amazing experience, especially when Maria give me the one-on-one instructions on some of the tangles. Now, when I look at the tangles on the internet, I definitely get a new appreciation for them. I learned so much in the few days, that I can't wait to explore and work on all of them. It has also given me a better appreciation of learning how to draw as I'm now more able to look at something and try to de-construct it just like a tangle. Looking forward to being able to share this art form with others. 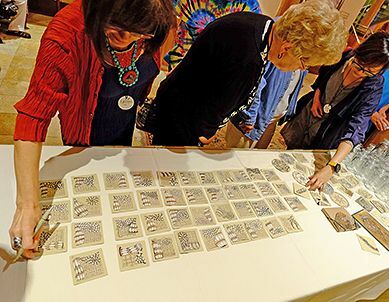 Thank you again for your generosity, openness, and the time and effort you've put into developing Zentangle, so that all of us can have the joy of being at artist with such ease. 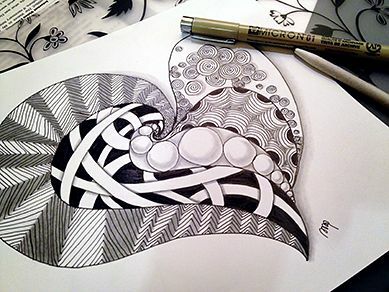 God Bless you and I'm honored to be part of the Zentangle community! We are finalizing our 2015 schedule and will announce it in a newsletter sometime in late summer or early fall. 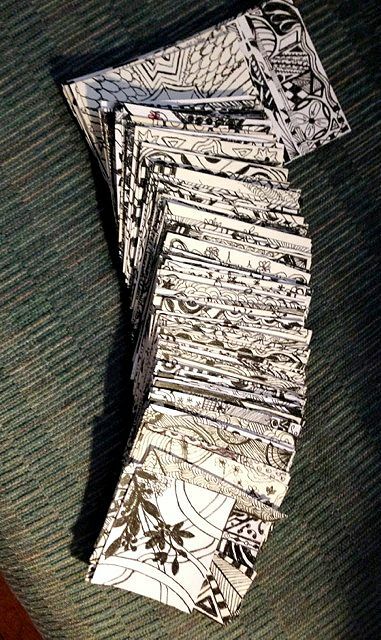 Thank you so much for sharing in this Zentangle adventure with us . . . some of you have been with us for almost a decade! Wow! We expect our newsletters and blogs to gradually become more frequent as a fantastic new contributor recently agreed to join our staff. Introductions soon!